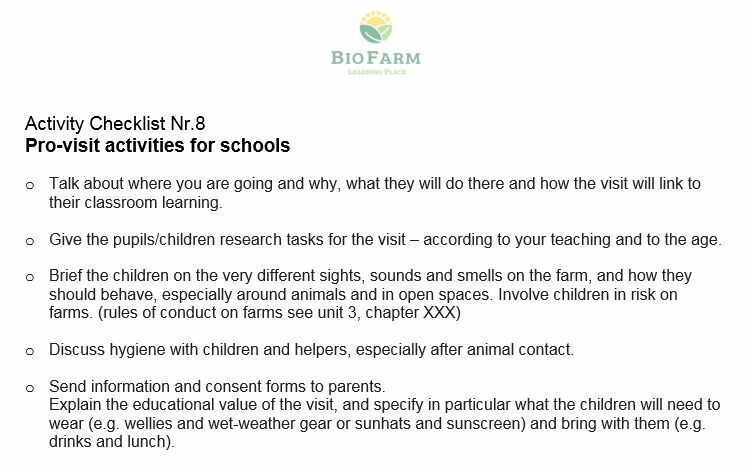 Teachers have to prepare children for their visit an a bio-farm. After the farm visit the children should reflect their experiences. A guide for pro- and post-visit activities for children and teachers is shown in the checklists “pro-visit activities for schools” and “post-visit activities for schools”. Once the visitors have left, the farmer and the teacher should take a few minutes to jot down any new ideas he/she have had, or things they would do differently next time. There is always room for improvements. 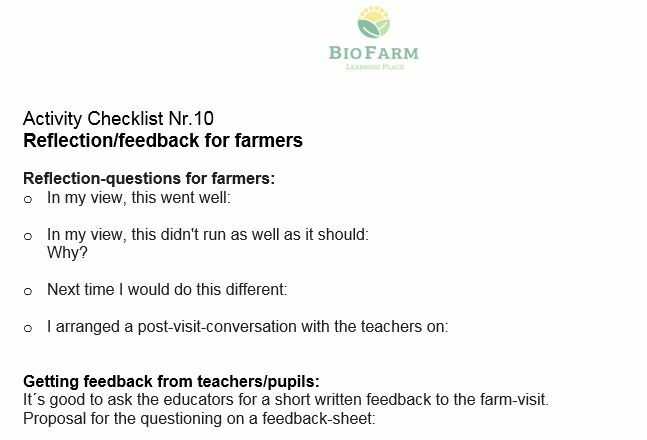 Therefor it´s also good to ask the teachers for a short written feedback on the content and the activities. 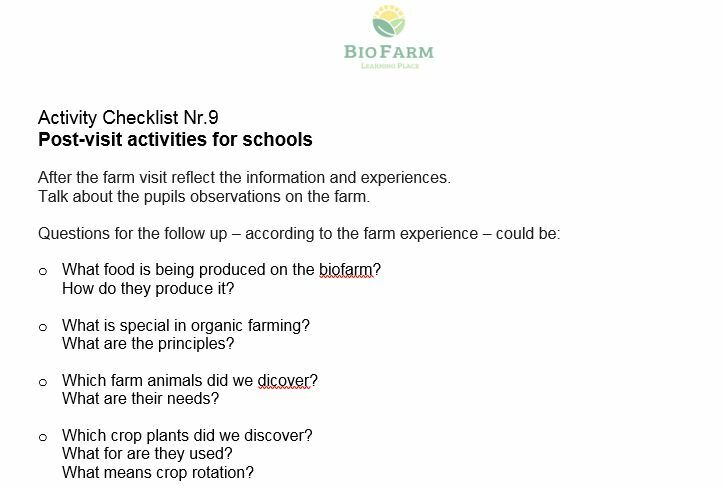 In the following checklist, you can find some questions, that might help to reflect the farm visit.